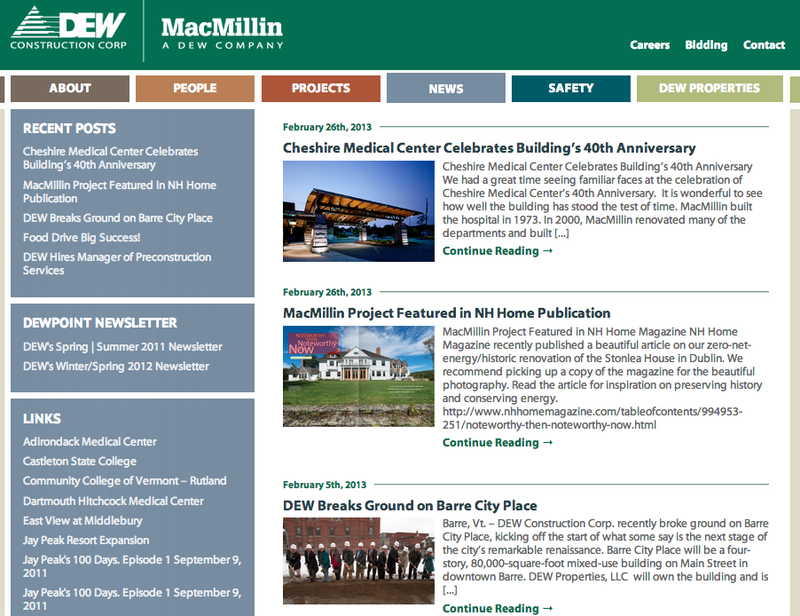 We are excited to announce another B2B website launch for our longtime partner, DEW Construction. 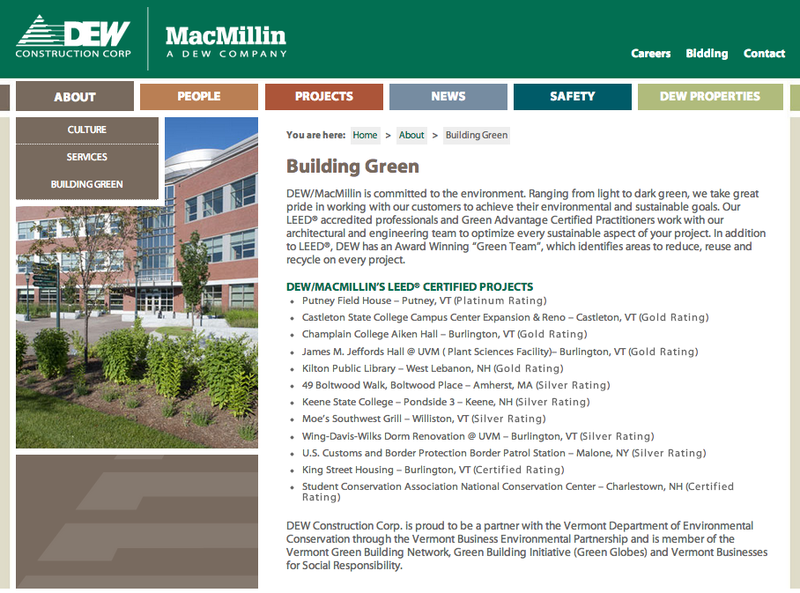 DEW recently merged with the MacMillian Company of Keene, NH, and was in need of a new website that reflected this. 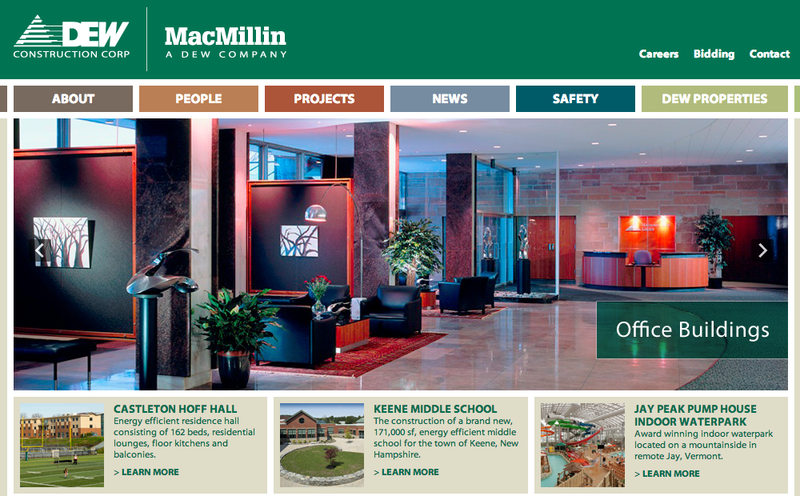 Our goal was to build a site that leveraged the established DEW look and feel, while incorporating the new capabilities that the MacMillian Company brought, unifying the two companies under a single corporate brand. The end result of this collaboration is a sales ready B2B website that enables visitors to see the many capabilities of DEW. 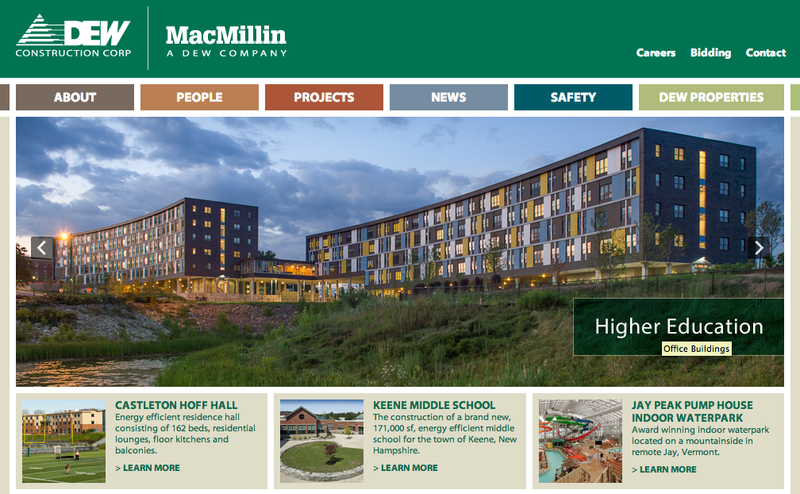 The new site highlights the company’s best-in-class construction projects with a highly visual Project Portfolio, and large, photo-centric sliders on the homepage featuring newly completed projects. 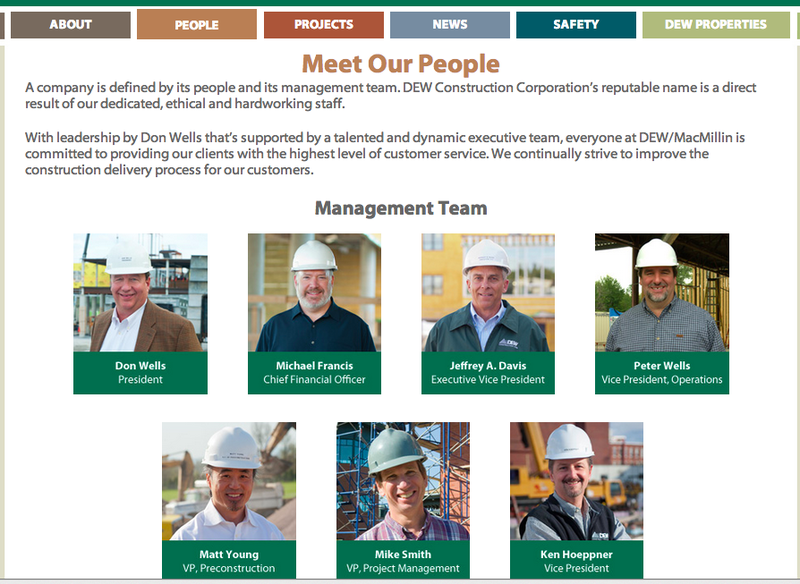 Additionally, DEW wanted the site to convey their core values, where clients and employees come first, which we did with an extensive “People” section made up of the individual DEW team members. 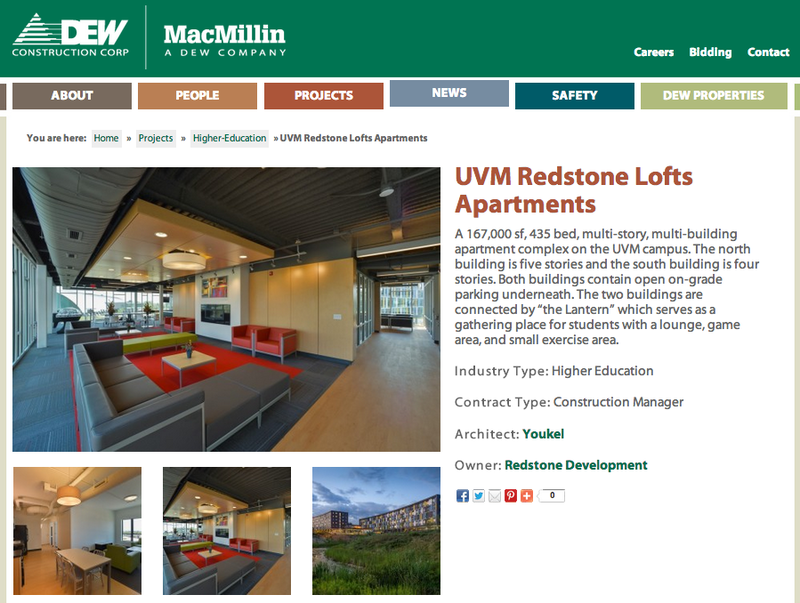 We are thrilled to showcase this new B2B website, so please click through the gallery below to see the finished product! And make sure to check out the completed DEW website too.